Haitian Creole is one of Haiti's two official languages. Often called as simply Creole or Kreyòl, the language is spoken in Haiti by about twelve million people. 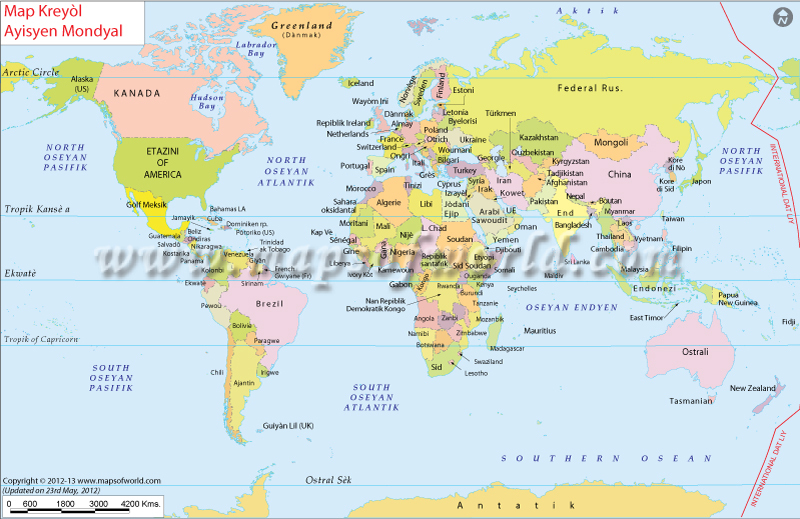 The world map in Haitian Creole shows the countries, capitals and water bodies of the world in Haitian Creole.